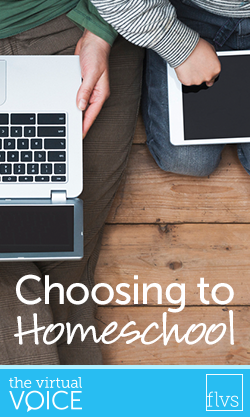 The idea of homeschooling my son seemed to be rather intimidating, scary, and far-fetched. To make matters worse, the decision had to be made quickly as the school year had already started. Despite being a college graduate, I truly believed that I couldn’t do it. The truth is that I took the plunge and forced myself to do it. To make homeschooling effective, I knew that I needed to buckle down and get organized—REALLY ORGANIZED! This meant that I needed a proper classroom setting with supplies. Unfortunately, my budget wasn’t very big. After looking around the house, I discovered that I had most of the items I needed. I hit the IKEA store for another inexpensive desk, project table, and chalkboard. This allowed me to include my son in the fun of designing and setting up his new classroom. My son was still sad over his experience at the brick-and-mortar school, so picking his own desk and chair, along with a few knick-knacks to personalize his space, helped the healing process. Today, my son’s classroom takes up an extra bedroom in our home. It is not large, but it works perfectly. Decorating the classroom set me on the right track, but this was the least of all my worries. Teaching my son was uncharted territory—but was it really? As months rolled on, I discovered that teaching my son was something I was doing all along. From the moment he was born, I was trying to teach him how to eat, sit upright, roll over on his belly, make eye contact, walk, ride a bicycle, etc. I realized that the teaching process is inherited as a parent, but it was something I unknowingly took for granted. This epiphany helped in many ways to sooth my fears, and the more time and experience I gained teaching my child, I started to feel like a natural. Sure, there were times where I doubted myself and questioned whether or not my son was reaping the benefits of my teaching skills, but the interactions with his teachers and his assessments at FLVS taught me that I was making a huge impact and difference on my son’s education. I won’t tell you that teaching your own child is easy, because it is not. There are days when my son doesn’t want to do his homework assignments, and he will do everything within his power to avoid it, but I have allowed my son to understand and experience the consequences or results of not doing the homework and not getting good grades. This was hard to do, because I didn’t want my son to fail at anything, but I knew that I wasn’t doing him any good by sheltering him from the consequences of his own actions. I had to remind myself that I wasn’t just his mother, I was on the frontline educating my son as his teacher. Since Kindergarten, my son has been homeschooled. He is now an A student in 3rd grade with FLVS Flex Elementary. By getting organized, being proactive, using local resources, following instructions, and collaborating with my son’s teachers, I have been able to successfully homeschool my child. I believe anyone can do it – and the experience I have gained has been a real eye-opener. Homeschooling was the right decision for my family, and FLVS has been an absolute blessing in this process. This entry was posted in Homeschool Edition, Parent Edition and tagged Choosing to homeschool, Elementary, FLVS Elementary, FLVS Flex Elementary, FLVS K5, Health, Home Ed, Home Education, home school families, Homeschool, Homeschool Parent Tips, Homeschool parents, Online Elementary Curriculum, Online Elementary School, Parent Voice, Parental Involvement, Parenting, Setting up classroom, Student Health, Virtual Elementary School on December 26, 2016 by Guest Blogger.